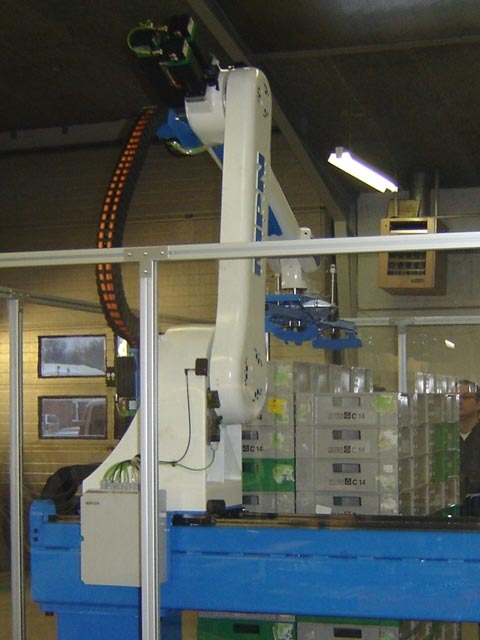 The roboStacker® is a light and compact handling robot, designed to suit most applications and environments. 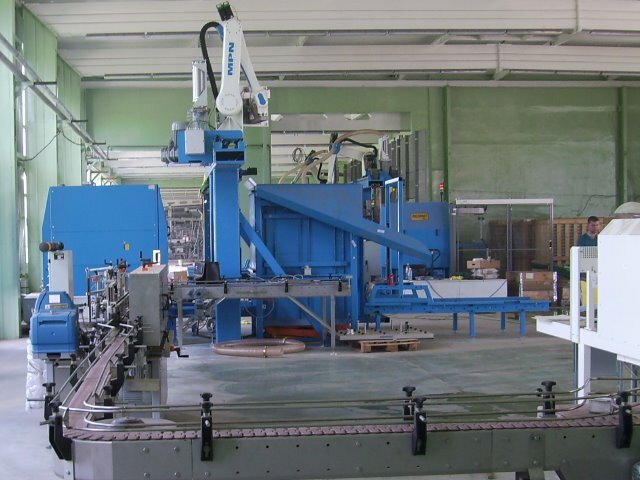 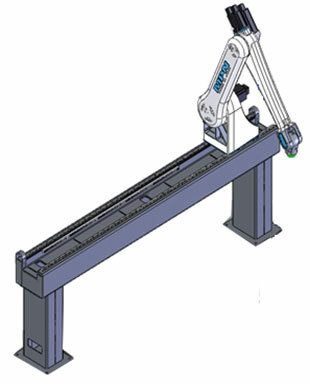 The roboStacker® is mounted on a gantry, which makes the solution unique and very flexible. 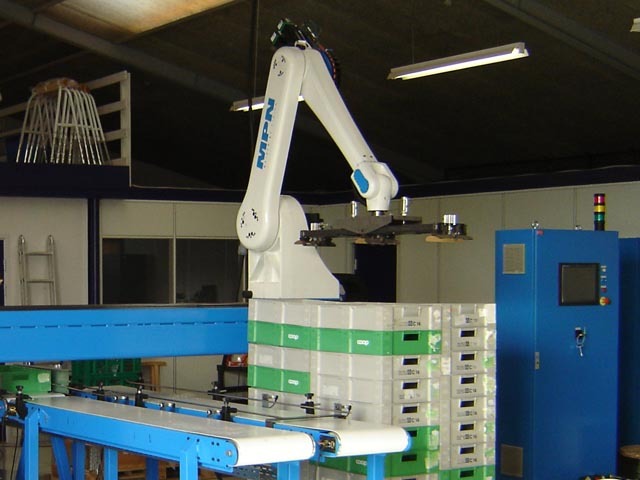 The gantry provides a wide working range (modules of 6 m), which results in more pallet stations - compared to rotating robots. 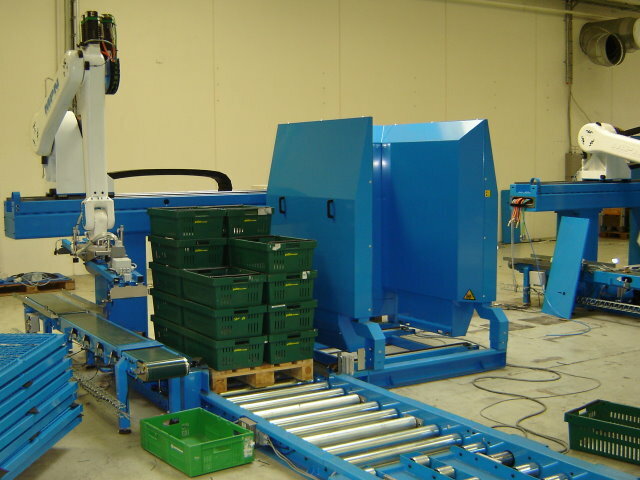 Built of standard components (World Wide delivery). 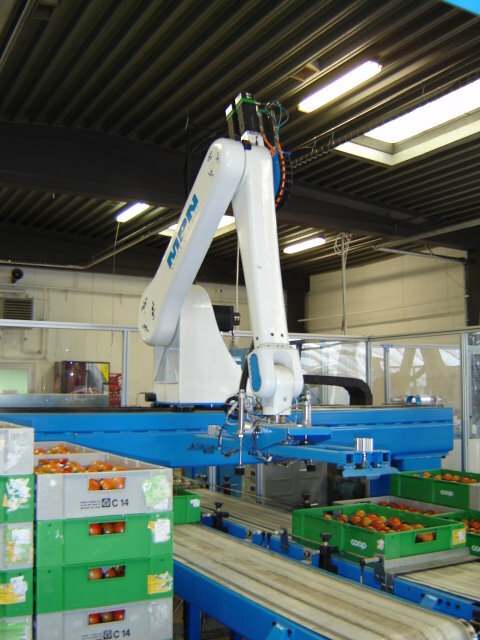 Common control system (robo-controller + PLC). 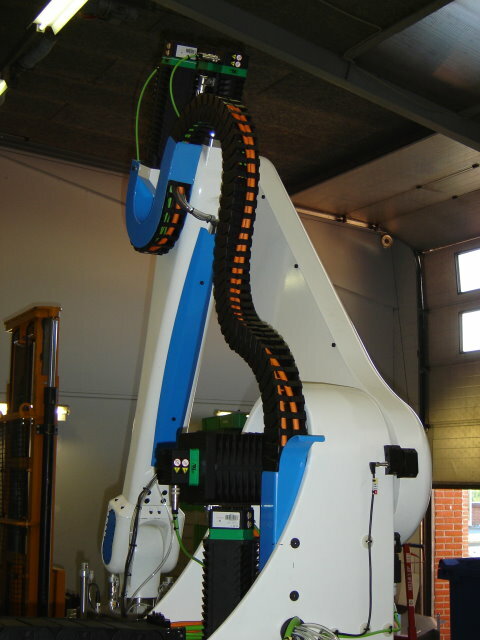 All programming according to IEC Standard. 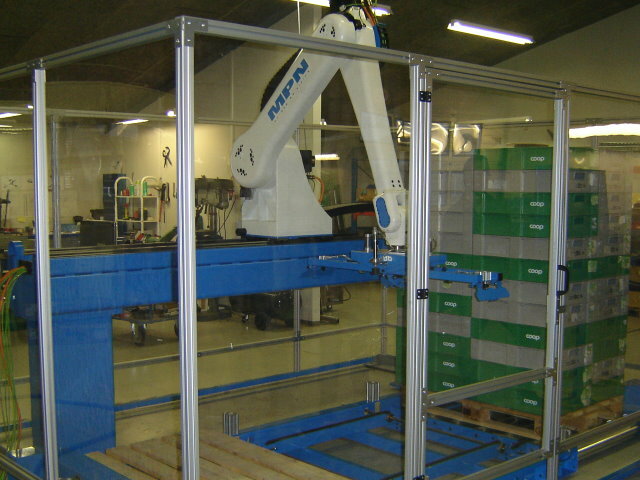 Graphic interface for generating palletizing patterns. 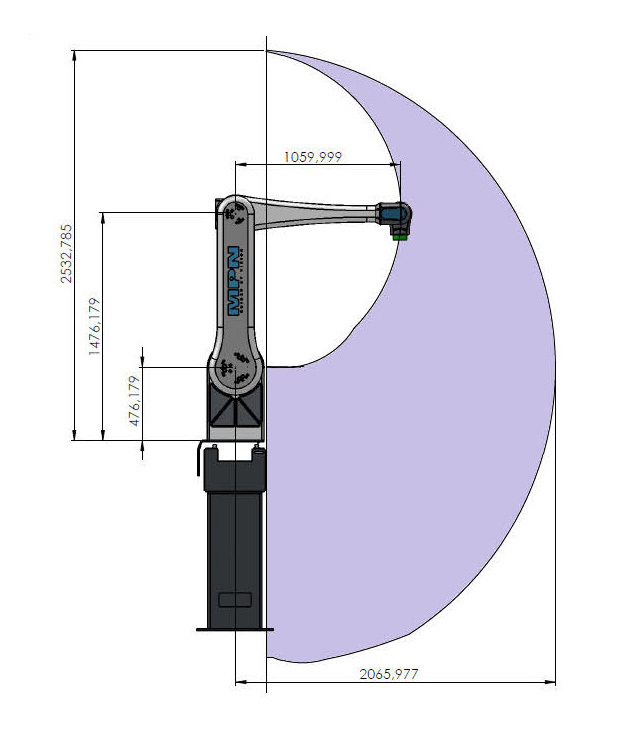 Graphic HMI remote control (color touch screen).